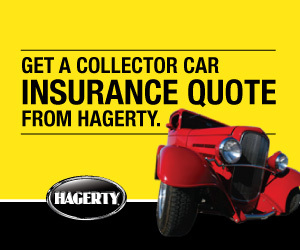 This type of coverage is for Classic Cars, Antique Cars, Exotic Cars, Hot Rods, Custom Built Vehicles and more! A one-of-a-kind program benefits not only set us apart from standard auto insurance companies, but other specialty programs as well. Our range of products can accommodate any owner’s needs — from dedicated collectors to someone in love with just one classic. Many of us are collectors ourselves, and we talk to other collectors at events all across the country, so we know what car guys want and need. Click the image below for a quote or purchase a policy!